Sidra is entering junior high school next month, and this is the uniform that he will be wearing for the next three years. No, I didn’t make this, but it is a very interesting uniform so I want to post about it. I think every parent with a growing child understand how difficult it is to find a good fitting clothes for their child. A good fitting outfit is nice to look at, but sadly can only be worn for several months or maybe a year. 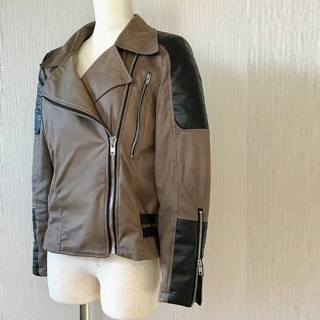 Then people usually buy or make clothes that several sizes too big to prolong the wearing life, which unfortunately don’t look too good on the child. That is why so many children are wearing either too big or too small clothes. This set of uniform is not too cheap, so people want them to last for the three years of school life. Not many people want to buy a new set of new uniform each time the child grows up. But uniform in several sizes too big won’t look too good, not to mention uncomfortable for daily school life. 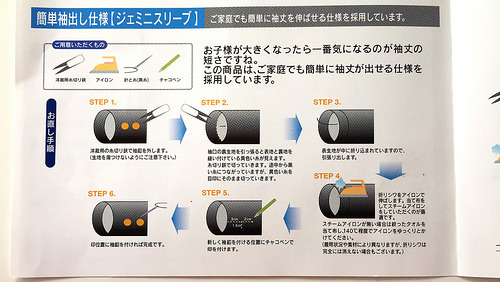 This is where the Japanese engineering comes in. The uniform is designed in such a way that they can be altered to several sizes up! 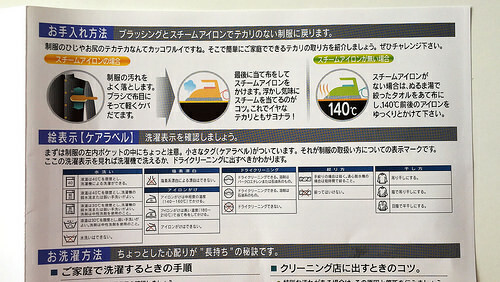 First, the usual care information. 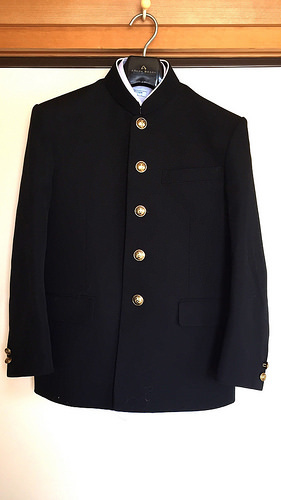 The jacket has metal buttons with metal shank on the other side, connected through small buttonhole. 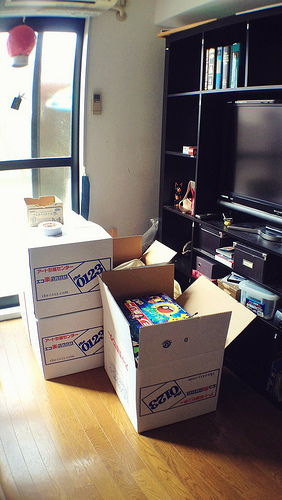 In this way, the buttons can be removed and installed back easily. 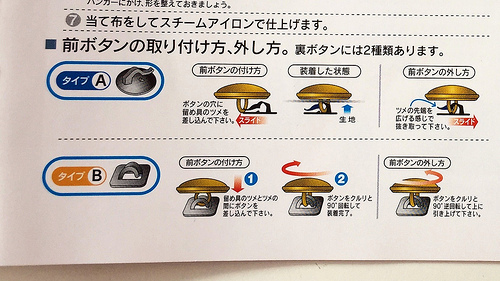 I guess it will create much stronger buttons than the ones attached with thread. 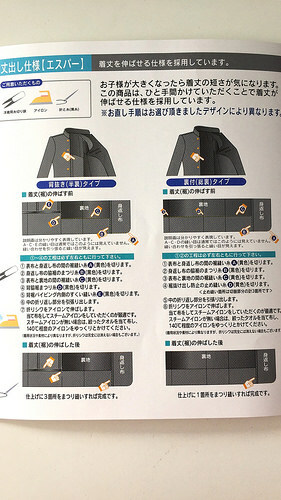 As you can see, the buttons on Sidra’s jacket are type A. The steps for lengthening the sleeves. Unpick the stitches connecting the lining to the sleeves hem, indicated by yellow thread. 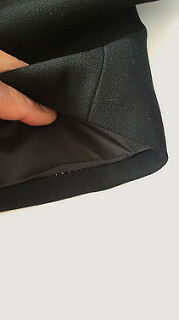 Once the yellow stitches are removed, the hem can be folded out. 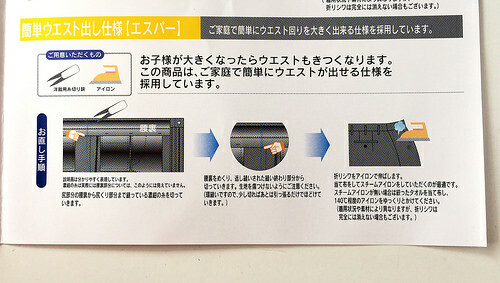 Press to remove the fold mark. I think the sleeves have two levels of hemmed edge. 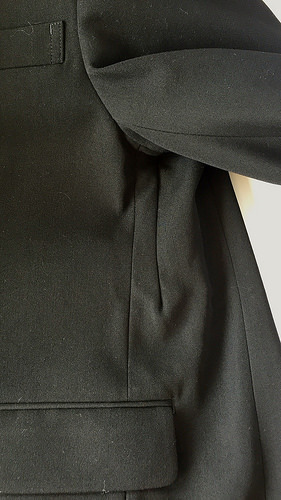 The first level is attached the ordinary way at the edge of the sleeves. Then moving up several cm, the hem and lining are stitched together again using the yellow thread to shorten the sleeves. To lengthen the sleeves, the yellow thread is removed. You can see the tiny yellow stitches in the picture. 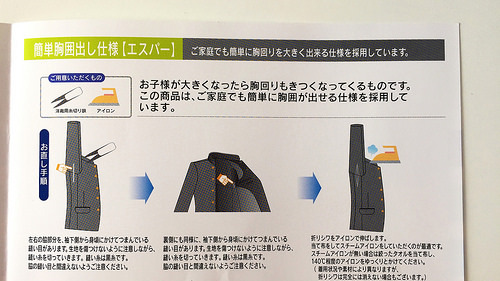 The manual shows two types of jacket, one with partial lining and the other with full lining. Sidra’s jacket has full lining. 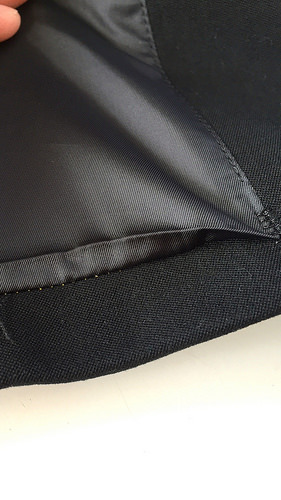 The jacket can be lengthened the same way as the sleeves, by removing the yellow stitches thread along the hem. The little hands on the manual points the position of the stitches that need to be removed. 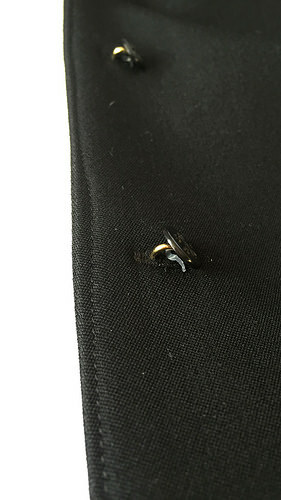 To keep the hem from falling open, there are several yellow bartacks on the lower part of seamlines. 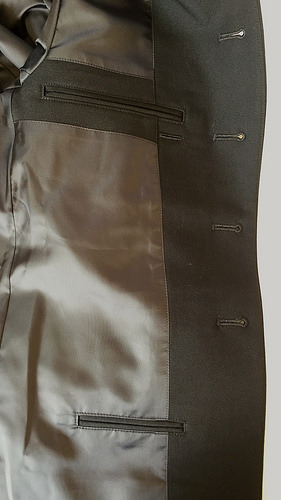 The bartacks are removed as well when lengthening the jacket. 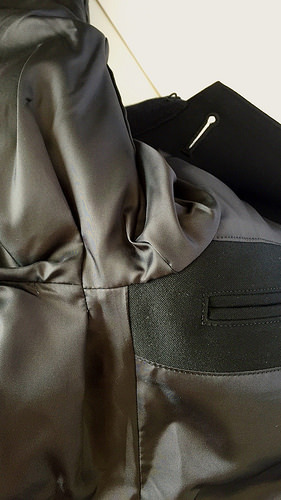 The jacket can be enlarged simply by opening the darts on the underarm of the jacket and the pleats on the lining. 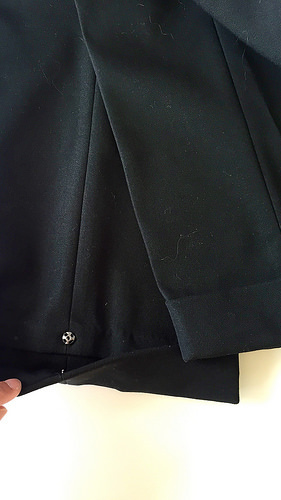 The center back of the pants has two seam lines, one in blue and the other in black. 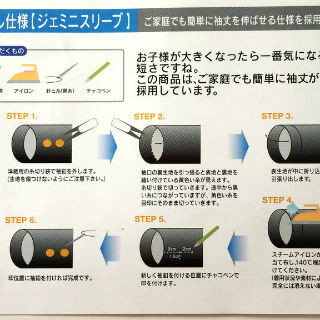 The pants can be enlarged by removing the blue stitches as indicated in the manual. And here is some more details on the uniform, if you’re interested. 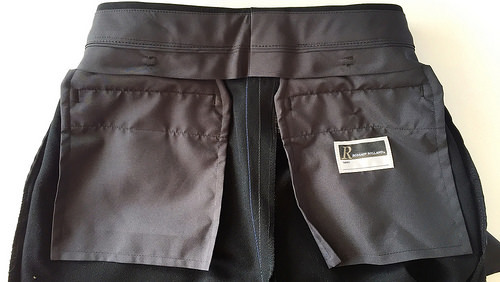 The pants has a name label attached on the lining of the back pocket. The cuffs have snap-on buttons so they can be lengthened as well. Sidra’s pants are actually too long but they have been altered by the store where we bought the uniform. The inside part of the jacket. 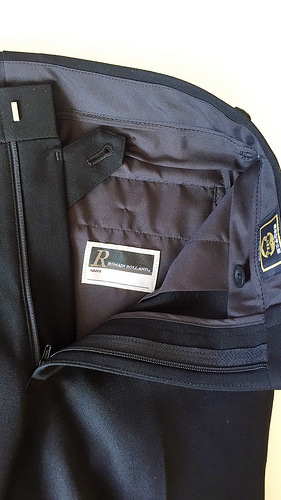 The name label is on the inside of the left side upper pocket. 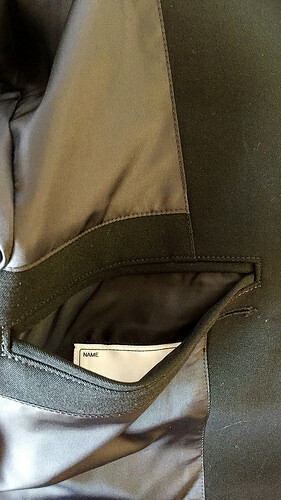 The pocket on other side of jacket has zipper. For me, the most impressive thing is the fact that all these alterations can be done even by someone who has no experience in sewing. 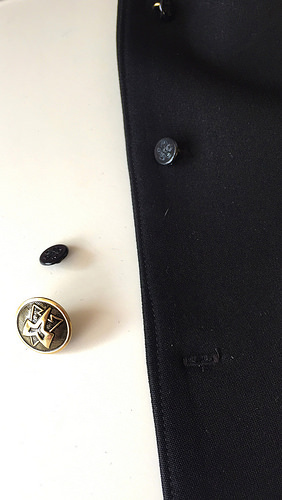 No sewing machine needed, and the only hand sewing required is for attaching the buttons on the sleeves – which most people can do. The shoulders are still a tad too long for Sidra, but I guess altering jacket shoulders with pads is quite a difficult thing to do. The jacket and pants are made with washable wool with a bit of stretch in it so they are quite comfortable to wear. 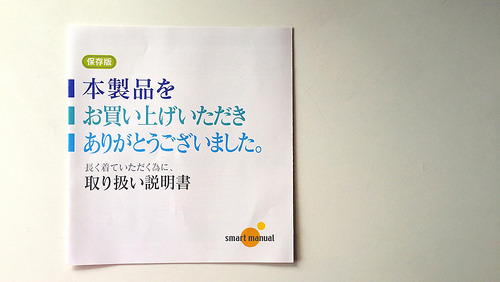 Now that I don’t have to worry about the uniform becoming too small, I hope they can withstand all the activities that a junior high school boy will do for the whole three years!